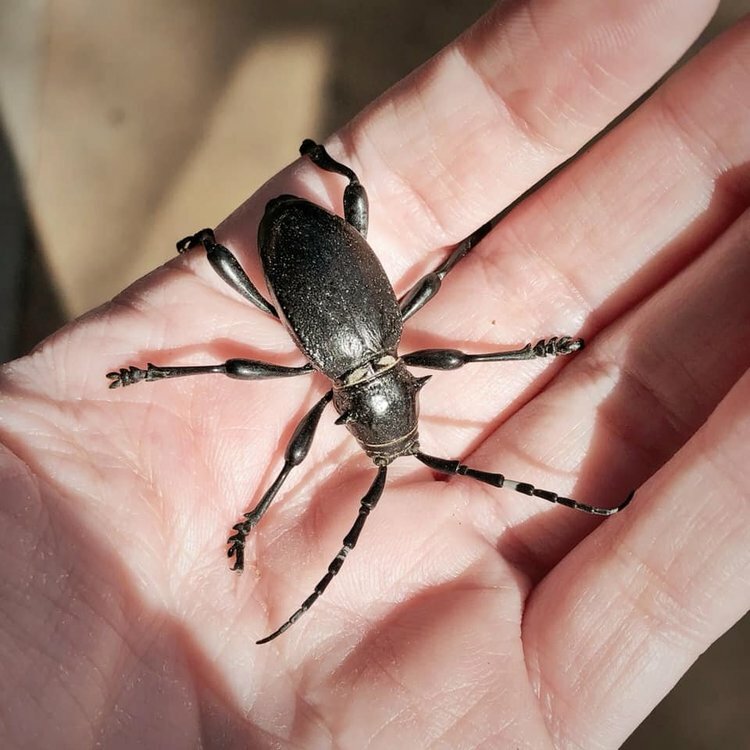 It figures, I spent tons of time trying to find these guys with no luck (finally did get a few found by other people) and today I found this cactus longhorn crawling along my patio door! It's currently in my desert tank with its buddies. Interests:Music, beetles, mantids, coding, 3D printing, propmaking, reading, gaming, the list goes on. Nice! That's a very pretty specimen. Also, good on you for picking them up without gloves mine would always open their jaws and since their faces naturally point down I was always sure they were about to bite me. Haha, thanks! I'm pretty sure they could give a good nip if they wanted to, since it must take some pretty powerful jaws to chew up a cactus, but none of mine have ever tried to bite me. This one wasn't thrilled about being picked up at first, but it protested by squeaking instead of chomping. Oooh, what shapely legs! We don't have anything like that where I live. What a cool find. How’d you pick it up without gloves?! I found a tile horned prionus at my porch light and it acted like my thumb was a huge sausage! I picked it up by the thorax, the little spikes actually make it easy to grab. Then I just set it down on my hand. None of the cactus longhorns I had ever bit me. The only beetles that have ever nipped me have all been blue death-feigners. The only beetles that have ever nipped me have all been blue death-feigners.